Cpl. Thomas A. Pittman, a native of Little Bay East in Fortune Bay, N.L., enlisted in the 1st Battalion of the Newfoundland Regiment on July 24, 1915. He was 26 years old. While Tom was stationed in England he posed for sculptor Basil Gotto. The result was the statue that now stands in Bowring Park. It wasn’t long before Tom Pittman would find himself in the middle of heavy fighting on the Western Front. During the Battle of the Somme he sustained shrapnel wounds in the head and side and was awarded the Military Medal for bravery. During the Battle of Cambrai in November 1917 he suffered a bullet in the shoulder and received the Distinguished Conduct Medal for his heroics. He was widely known as a skillful handler of the portable Lewis machine gun. 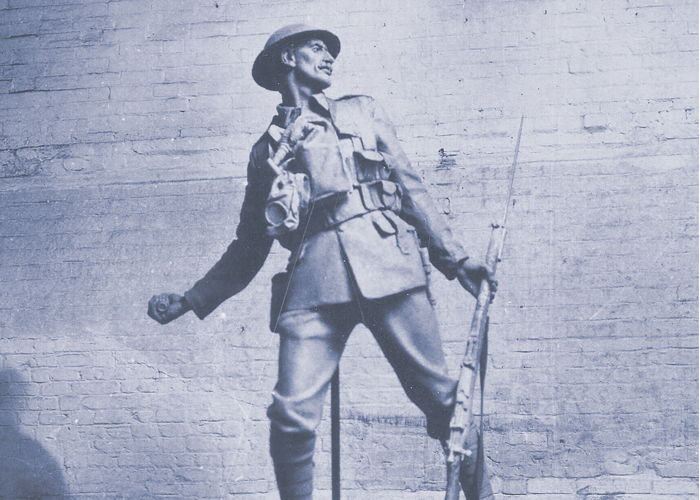 While Tom was stationed in England, he posed for sculptor Basil Gotto. The result was the statue that now stands in Bowring Park. 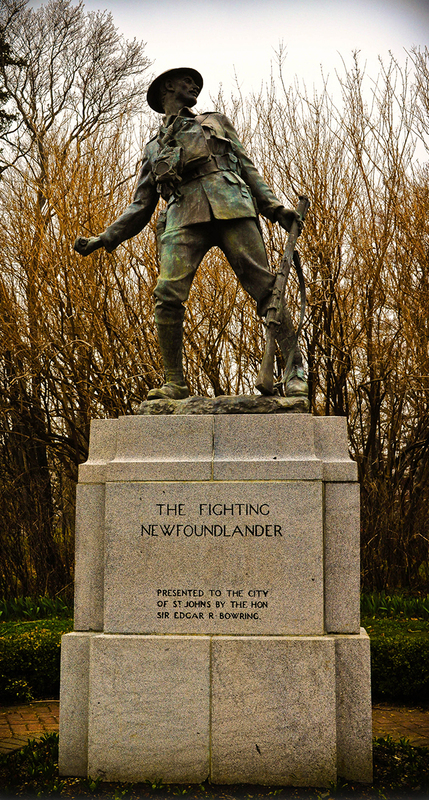 After the war, Tom resided in Mount Pearl, N.L. until he passed away in 1966. One of our acts of remembrance in 2016 has been the creation of a new town sign. Today, you are welcomed to Little Bay East as the birthplace of Cpl. Thomas Pittman, The Fighting Newfoundlander. Cora and Clyde Scott are the mayor and deputy mayor, respectively, of Little Bay East, N.L.